After 300,000+ votes were cast, one thing is for certain…. There is nothing else like shopping in boutiques! They are fashion for every woman, a friendly face, a great experience, and the lifeblood of cities and towns around the world. And YOU love shopping with them! CONGRATULATIONS to the 2018 BOUTIQUE AWARDS WINNERS!! After nearly 3,000 nominees – close to 200 boutiques of all types, from the US, Canada, and Australia were chosen by their fans as the best in business. Plus, the top 5 winners in our Global Boutique of the Year category! Supporting small businesses and independent fashion boutique owners is defying what the media calls a ‘retail apocalypse,’ in a big way. Over the past month or so, we’ve watched in awe as boutique shoppers from across the globe have gathered together to celebrate their favorite stores–stores that supply women, men and children of all styles, ages, budgets and sizes with clothing, accessories and home goods. These boutiques have been able to prove that the world of small business retail is alive and well; as these businesses are able to provide shoppers with a unique experience, a wide variety of products, unbeatable service, and most importantly, long-lasting, personal connections with their customers. 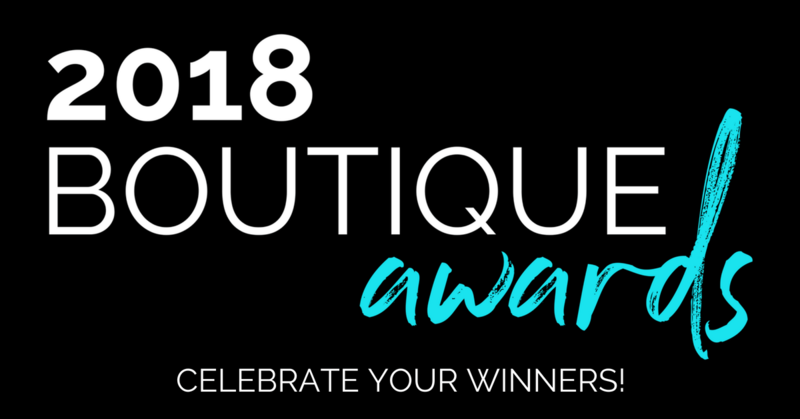 We celebrate you and salute you, the WINNERS of the 2018 Boutique Awards, and all the stores who participated through the entire Awards process. Cheers to a fabulous year ahead! To everyone who participated, THANK YOU. The Boutique Awards was meant to lift our collective voices as a boutique fashion community to spread the importance of shopping small, and what it means to work with businesses who employ local families, pay local taxes, build new dreams and support causes worldwide. To keep up with these winners, their stories, and our favorite products and trends in boutique fashion, make sure you are on our VIP list of boutique addicts! We’ll even pass along 20+ boutique coupons when you sign up!